A random guy, quoting the conventional wisdom, shouted that at regular intervals during Hole’s performance Sunday (Sept. 5) at the Bumbershoot festival’s Mainstage (Memorial Stadium). 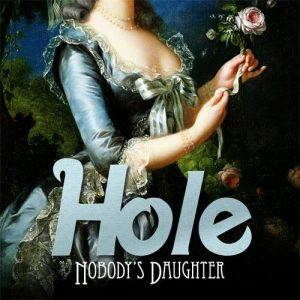 He was roundly ignored, probably because Hole’s whole reason to exist, tabloid-baiting frontwoman Courtney Love, was inimitably witty and even lucid throughout her band’s hour-plus set. And, just perhaps, because a train wreck would at least sound more interesting than the generic rock backing supplied by Love’s current, grunge-free support staff. On the other hand, Love herself, back in the memory-laden place she now called simply “home,” was devilishly entertaining. She deconstructed hometown heroes Pearl Jam’s “Jeremy” (she was proudly awful) and reacted to an accusation of being “fat” by citing Kate Moss, with whom she once had a purported affair. The photos is this post were taken by Seattle photographer Alex Crick. Visit his Web site by following this link. Watch a video of Love from a KNDD “End Session” interview Sunday (Sept. 5) at Bumbershoot. Love has an amusing interchange with Charles R. Cross, author the Kurt Cobain biography, “Heavier Than Heaven,” about the upcoming biopic about Cobain. EDITOR’S NOTE: Mikel Toombs writes a weekly music column for the San Diego News Network and is an occasional contributor to GeneStout.com. For another recent story by Toombs on Star Anna’s performance at Bumbershoot, click here. What did you think of the concert? You can comment below.